A thrilling and most anticipating test match comes to an end. This test match will be remembered for years. A rare match in the history of test matches. And it was Srilanka who steal the show with only one wicket remaining. 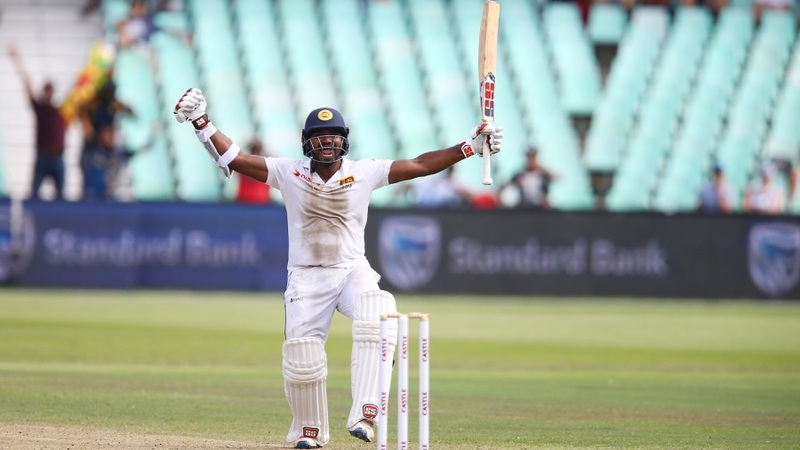 A hard day for protease, they were almost there but it was Kusal Perera who batted really well in the second innings and won the game. Srilanka won the toss in the first of two test matches in Kingsmead and decided to bowl first. It was not an ideal start South Africa they lost their first wicket for 0 but it was Quinton de Kock’s 80 runs knock that helped South Africa to score 235. Srilanka in their first innings just couldn’t get things going and were all out for 191 runs. Kusal Perera scored 51 and Dale Steyn picked 4 wickets in the first innings. In the second innings South Africa made 259 runs as captain Faf du plesis scored 90 runs. Lasith embuldenia the left arm orthodox picked 5 wickets for Srilanka. 304 runs target was never an easy ask for the Srilankan side to deal with. It was not a good start for the Srilanka in their second innings they were 110 for 5 and 226 for 9. No one had ever thought that they will fought back like a top side and had the potential to turn the game around. It was a heroic knot from the brave Kusal Perera who had so much to do with the bat but he kept his nerves calm and under control. One of the best knock of the cricket I have ever seen. When it comes to T20 it is quite normal but when it comes to test cricket it was a dream innings. Kusal Perera scored 153 with Vishwa Fernando scoring 6 off 27 balls for the last wicket. Srilanka won the 1st test match by 1 wicket. Finally! Kusal Perera has something to tell his grandsons now. Yup, he will remember it for decades.